Engrave-able dual layer plastics that are both cost effective and durable. 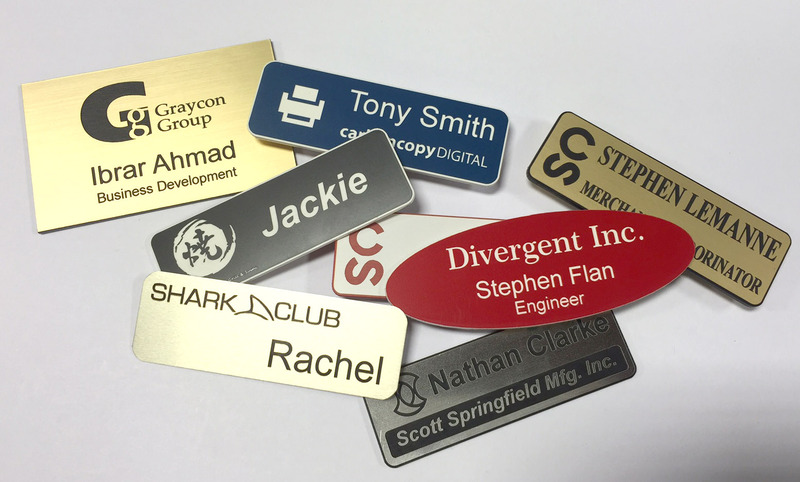 Laser engraving provides high resolution marking in any font and/or logos. Provided with high strength industrial adhesive backing and/or screw holes.